The Warehouse is the brain-child and dream of Jo Derviller, the Creative Director and owner of Imaginate Creative, a design agency which calls the space home. 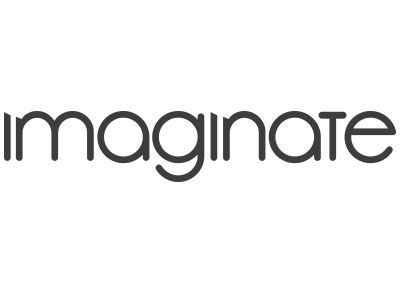 Back in July 2014, after years of searching and countless viewings of everything from pubs and lofts, to purpose-built office space, and even an old Legion building, the Imaginate team finally signed the lease on their new studio – a space so perfect, it was as if it was made for them. Originally a chapel, then a paint warehouse and most recently a nightclub by the name of ‘Ocean’, the building offered a wealth of history… and a lot of sticky floors (like all good nightclubs). 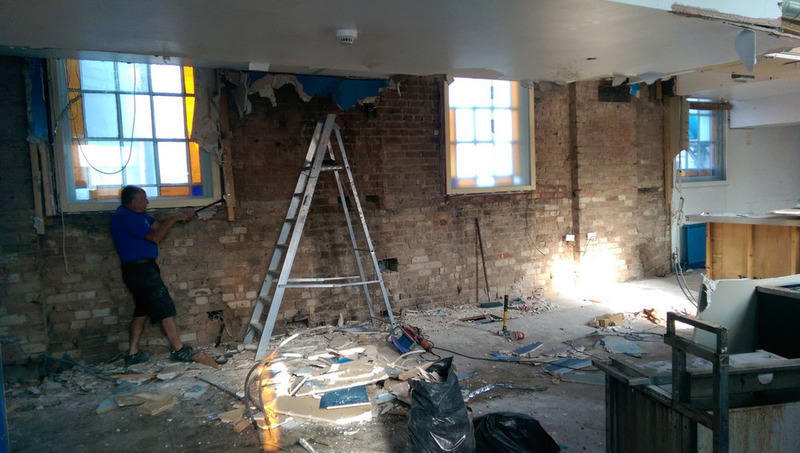 Despite the shabby appearance, the team saw the potential it offered, and over the next few months went about stripping out the interior and revealing the building’s beautiful industrial, bare brick shell in all it’s glory. 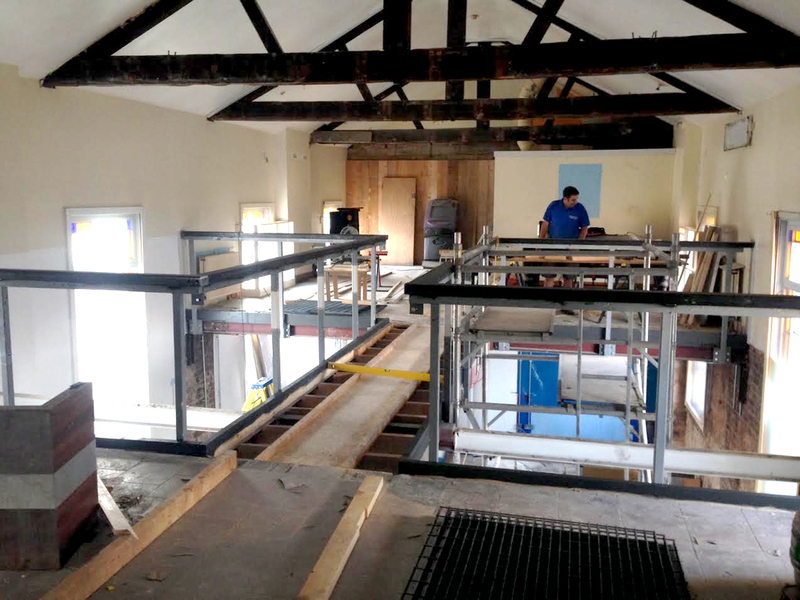 After decking out the space with copper piping, metal grates and filament bulbs, The Warehouse was finished and ready to welcome it’s new residents. Currently, The Warehouse is home to a cluster of like-minded creative individuals and companies working across various sectors, from Social Media, to Design and Photography. The open-plan style of the studio space nurtures a strong and cohesive community, where creativity and innovation is king. As The Warehouse continues to grow, so do it’s aspirations. The refurbishment means more than the launch of another new studio space – the principles of thinking differently, doing more, and creativity are ingrained within it’s walls. The Warehouse continues to attract new companies and talent, through being a vibrant and engaging space with something to catch the eye in every corner.